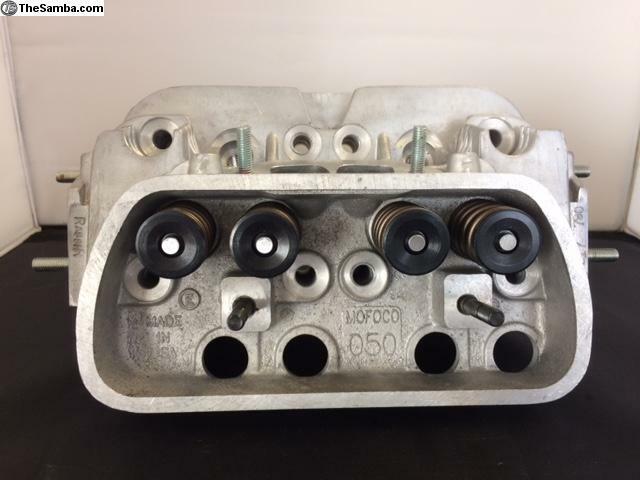 TheSamba.com :: VW Classifieds - Mofoco 050 Rasser Cylinder Head---SALE PRICE!!! 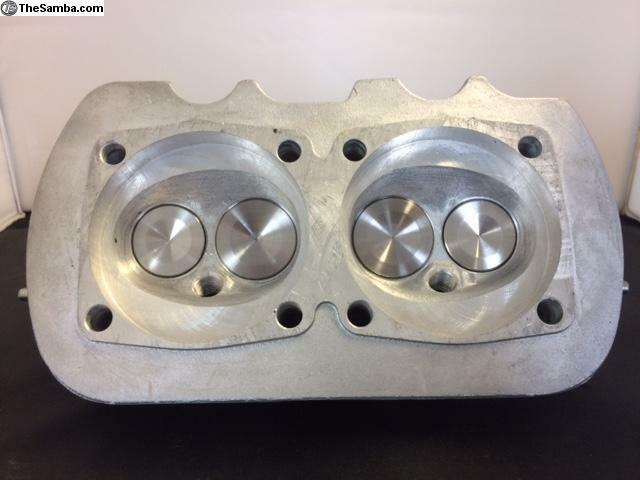 The 050 RASSER features 40mm stainless steel intake valves and 35.5mm stainless steel exhaust valves. 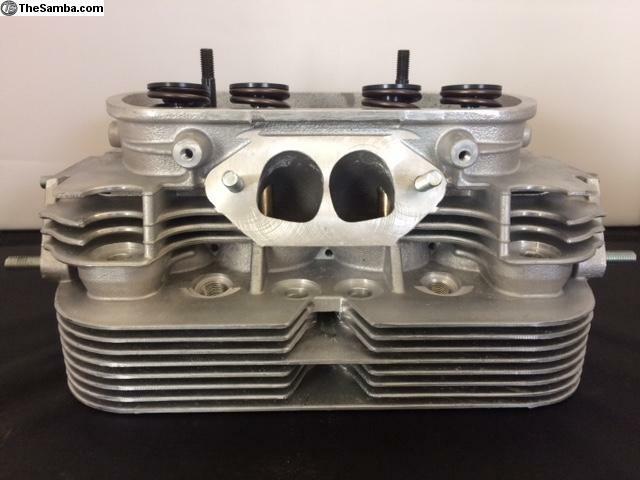 We specifically designed the 050 Rasser for 1776cc to 2110cc engines. They are recommended for higher lift cams and dual carbs for the best performance. After 20+ years of success, 050's have been upgraded for more flow as cast, no step 55cc combustion chambers for maximum quench, more airflow through the head for maximum cooling, added material so boring for 94mm cylinders won't break through to the fins and now come standard with chromoly retainers. 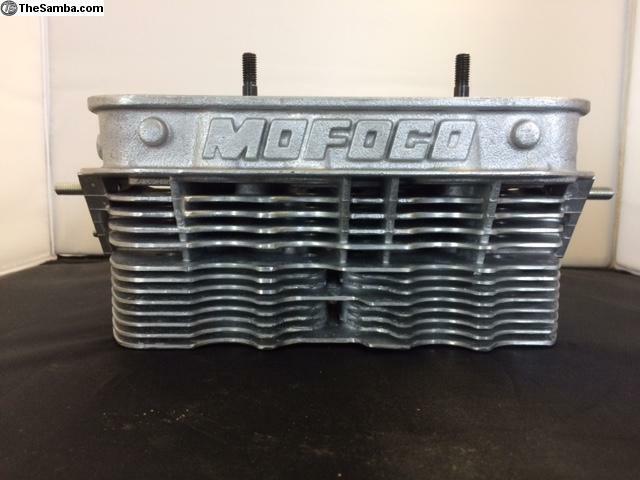 With the intake port volume at 64cc, the port velocity is perfect for a street performance cylinder head.